Want a simple way to monitor wide swaths of the landscape without breaking a sweat? Listen in on the 'conversations' honeybees have with each other, researchers suggest. The scientists' analyses of honeybee waggle dances suggest that costly measures to set aside agricultural lands and let the wildflowers grow can be very beneficial to bees. Researchers have devised a simple way to monitor wide swaths of the landscape without breaking a sweat: by listening in on the "conversations" honeybees have with each other. The scientists' analyses of honeybee waggle dances reported in the Cell Press journalCurrent Biology on May 22 suggest that costly measures to set aside agricultural lands and let the wildflowers grow can be very beneficial to bees. "In the past two decades, the European Union has spent €41 billion on agri-environment schemes, which aim to improve the rural landscape health and are required for all EU-member states," says Margaret Couvillon of the Laboratory of Apiculture and Social Insects at the University of Sussex. "However, there is little evidence evaluating these schemes. 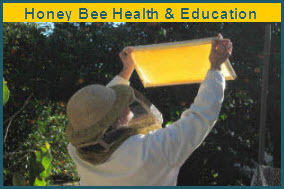 Our work uses a novel source of data -- the honeybee, an organism that itself can benefit from a healthy rural landscape -- to evaluate not only the environment, but also the schemes used to manage that environment." Couvillon and her colleagues, led by Francis Ratnieks, recorded and decoded the waggle dances of bees in three hives over a two-year period. Bees dance to tell their fellow bees where to find the good stuff: the best nectar and pollen. The angle of their dances conveys information about the direction of resources while the duration conveys distance. Researchers can measure those dance characteristics in a matter of minutes with a protractor and timer. In all, the researchers "eavesdropped" on 5,484 dances to find that the best forage within the 94 km2 of mixed urban-rural landscape included in the study -- as far as bees and, by extension, other insect pollinators are concerned -- is a place called Castle Hill, which happened to be the only National Nature Reserve in the area. More broadly, High Level agri-environment schemes were the best places for bees. The researchers were surprised to find that Organic Entry Level agri-environment schemes were the least frequented by bees. According to Couvillon, it may be that the regular mowing required initially to discourage certain plants from growing in those plots might leave few wildflowers for bees. The study shows that honeybees can serve as bioindicators to monitor large land areas and provide information relevant to better environmental management, the researchers say. It also gives new meaning to the term "worker bee." "Imagine the time, manpower, and cost to survey such an area on foot -- to monitor nectar sources for quality and quantity of production, to count the number of other flower-visiting insects to account for competition, and then to do this over and over for two foraging years," Couvillon says. 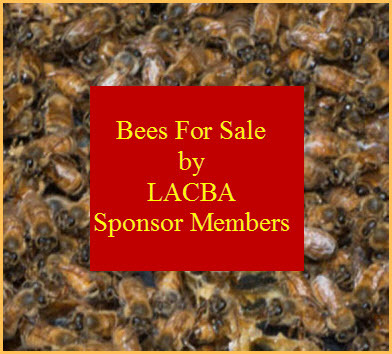 "Instead, we have let the honeybees do the hard work of surveying the landscape and integrating all relevant costs and then providing, through their dance communication, this biologically relevant information about landscape quality."